Classic Folios was delighted to create a bespoke launch brochure, demonstrating the tablet handover solution that new homeowners will receive when they move into one of the stunning new apartments at The Taper Building in SE1. The brochure was designed to introduce potential homebuyers to the high standards of the development, including the sophisticated handover solution that completes The Taper Building brand. The Taper Building is a collection of 56 luxury apartments nestled amid the warehouse conversions and markets of SE1, reflecting the area’s unique history, character and style. Classic Folios’ innovative tablet handover solution is the perfect partner for this development; each apartment will come with an iPad preloaded with all homeowner and appliance manuals, an online portal and smart home apps configured to the specification of the apartments, putting new homeowners in control from day one. 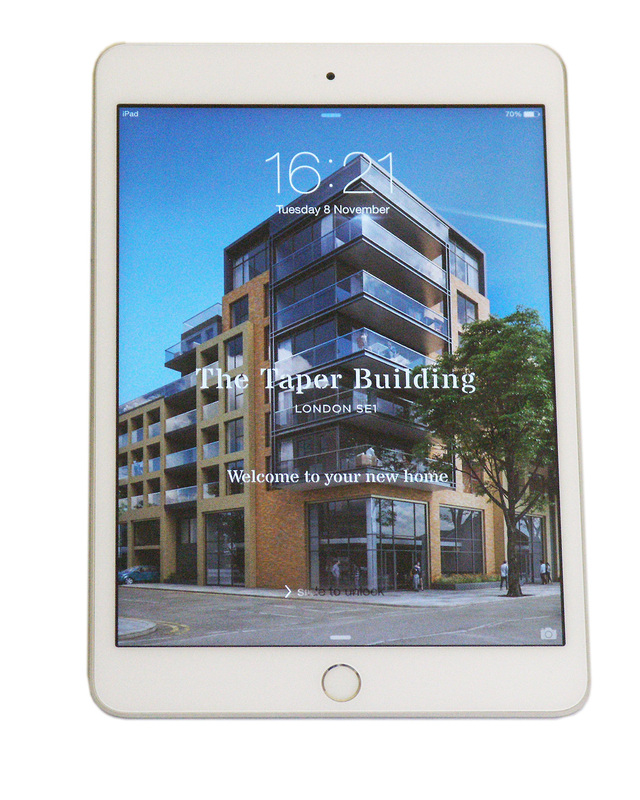 Classic Folios attended the launch of The Taper Building, taking along an iPad to demonstrate the product to potential homebuyers. David Graydon, Managing Director of Classic Folios, said “We were pleased to have the opportunity to work with Shape on their handover solution for The Taper Building. Seeing prospective homebuyers effortlessly using their handover solution at the launch enabled us to see first-hand the benefits of creating a solution that is totally integrated with the branding and ethos of the development. It has been a pleasure to work in partnership with Shape to build in handover solutions as part of their launch strategy and show their potential buyers that customer care continues long after the keys have been handed over”.